Welcome to our website! If you’re seeking a natural, drug-free approach to health care and want to experience optimal wellness, you’ve come to the right place. 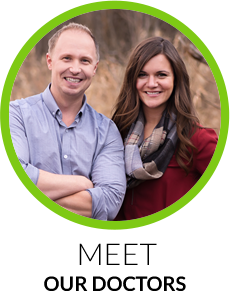 At Complete Health Chiropractic & Massage, Okotoks Chiropractors Dr. Chris Yavis and Dr. Caitlin Zietz are spinal specialists that treat back pain, neck pain, headaches and so much more. They want to help you not only feel great but also to live your life to the fullest. Our doctors are passionate about empowering patients to make the necessary changes in their lives that will result in a healthier future. What we believe about health and your body is completely different from the status quo. The conventional way of thinking is based upon a symptomatic approach to care (or just treating symptoms), instead of finding the cause of the problem, or current ailment, and fixing it. You also can gain some knowledge about the other benefits of chiropractic by checking out our blog or watching our health talks. Whether you’ve been sidelined by an injury or just want to have more energy and better function so you can participate in all your favorite activities, we want to help. Thank you for visiting, and we will look forward to serving you in any way we can to get you on your path to healing and wellness. 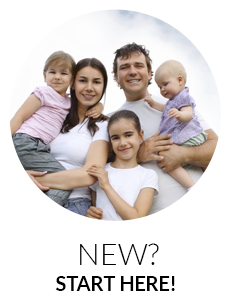 Contact the practice today for an appointment! Dr. Caitlin and all of her staff are amazing, they have gone above and beyond for me! Always a great welcome and amazing help while we are here. The Doctor is gentle and great with me and the kids. Great service, always. 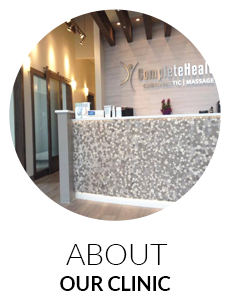 I absolutely love the care I receive at Complete Health Chiropractic & Massage. Chiropractic has really helped me feel amazing throughout my entire pregnancy! Love the care from Dr. Caitlin! From my first pregnancy through postpartum and now second pregnancy and postpartum. Even have my kiddos in to see her! Dr. Caitlin is amazing! She is very knowledgeable about pregnancy health and postpartum recovery all while being super warm and caring. It feels like a family when you walk through the front doors.